It's Friday!!! The last few days I've been doing a first aid course and I'm finishing up today with an exam....but not even this has dampened my Friday spirits. I got a little Christmas shopping done yesterday evening, packed for a four day trip west and managed to put together this 'Last Minute' request for a Converse Cake. Fairly productive evening really. First and foremost many older kids and teenagers don't really like eating cake, so as an alternative to sponge or chocolate cake, I made this cake out of gooey marshmallow and white chocolate krispie squares. 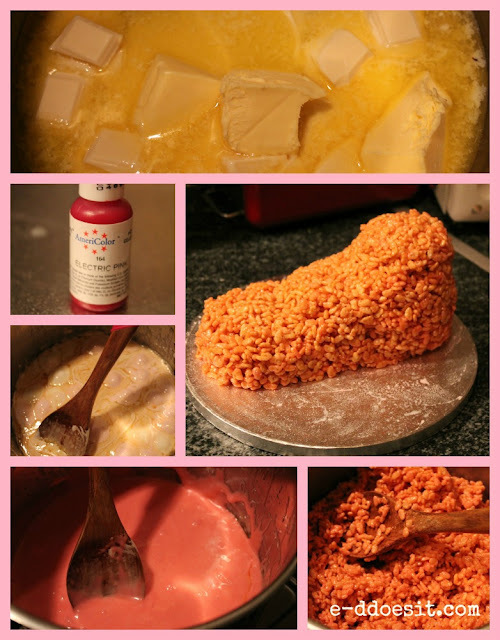 When making an odd shaped cake like this shoe, rice krispie squares are really pliable and easy to mould so can make your life a whole lot easier....and of course their delicious! stirring continuously to prevent the mixture burning. pink in colour. At this point remove from the heat and stir in food colouring if desired. 3. Stir in the Rice Krispies and continue to mix until all of the cereal is well coated. - I moulded the general shape of the boot from the Rice Krispies and went from there. 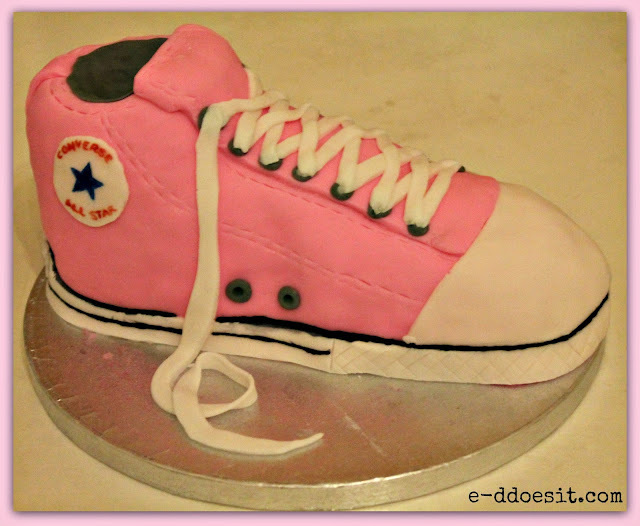 It's perfect, at firt sight, i thought it was a real converse, and when i read your post...it was a cake!!! That is awesome! Thanks for the step by step photos!